A regular fixture in The Comet Bar is the Trad-session with the Rising Sons every Thursday, but Thursday the 31st of January is a little special. 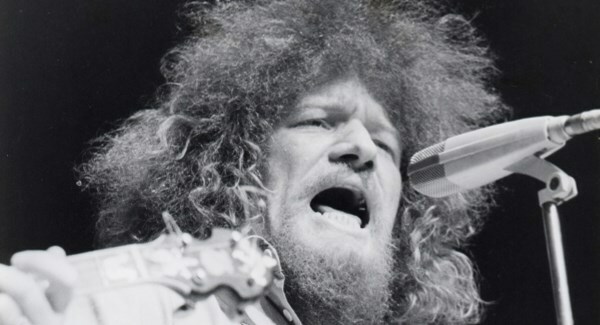 It’s a night in honor of the late great Luke Kelly on the 35th anniversary of his death and it promises to be a great night with the lads singing all of Luke’s Greatest Hits. For the final talk in the Discovering Venice lecture series, inspired by Canaletto and the Art of Venice, the National Gallery is welcoming Yvonne Farrell and Shelley McNamara, Directors of Grafton Architects. The two curators of the hugely successful Venice Architecture Biennale will speak about their theme, Freespace, and discuss how they worked with the historic Venetian Biennale spaces to create an immersive and fascinating experience. This exciting lecture series brings high-profile international speakers to the Gallery to speak on the allure of Venice and its art and architecture. Travel to Italy without leaving Dublin! Level Up is a brand new event by GirlCrew designed to help women reach their goals, get advice from experts, ask the questions they need answers to and learn the skills that will help them on their upward journey. Bag that promotion, Get the pay rise, walk your 10,000 daily steps and help other women walking the same walk. We aim to ensure you’ll leave every event feeling empowered to chase your dream, and with some new skills or information to make it just a little easier.